Why Don't Female Cinematographers Get Hired On Big Movies? First, the good news: last year, for the first time in Academy Awards' 90-year history, a woman was nominated for cinematography. 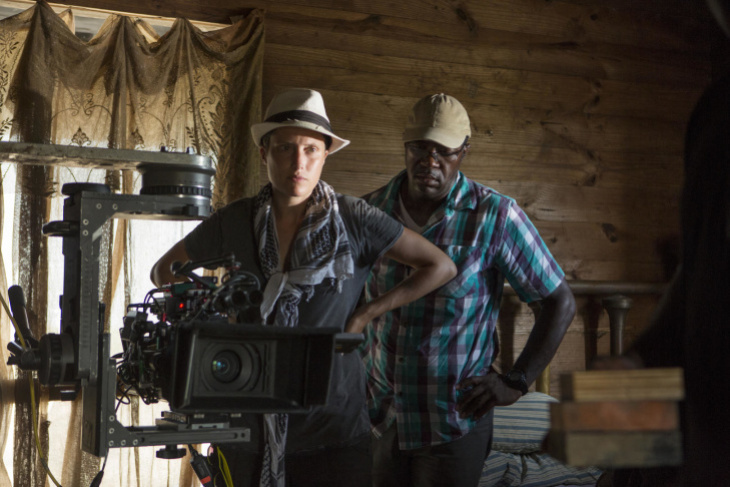 Rachel Morrison got the nod for her work as director of photography (or D.P.) for the movie Mudbound. Sandra Bullock underscored the significance of that when she introduced the nominees as the "four men and one trailblazing woman" nominated for achievement in cinematography. Morrison didn't win (Roger Deakins took home the award for Blade Runner 2049), but the nomination itself was historic. It also raised the question: why did it take such an incredibly long time for a woman to get that recognition? Here's the bad news: part of the reason is that there aren't that many women shooting the kinds of movies that get recognized at the Oscars. Of the 250 top-grossing films of 2018, only 4 percent had a woman cinematographer. That figure is from the latest Celluloid Ceiling Report from professor Martha Lauzen, executive director of the Center for the Study of Women in Film and Television at San Diego State University. Lauzen's been conducting the annual study since 1998 — when the percentage of women cinematographers working on the highest-grossing films was also 4 percent. The number has varied since then, but has yet to improve significantly. "I've never understood why there aren't more female cinematographers," cinematographer Morrison told The Frame. "This industry is all about empathizing and channeling emotion into visuals. It's everything that women do well." That inequity can become a self-perpetuating thing. Whether or not a woman gets the opportunity to work on a film often comes down to whether she's got the right experience. But how do you get that experience without the opportunities? 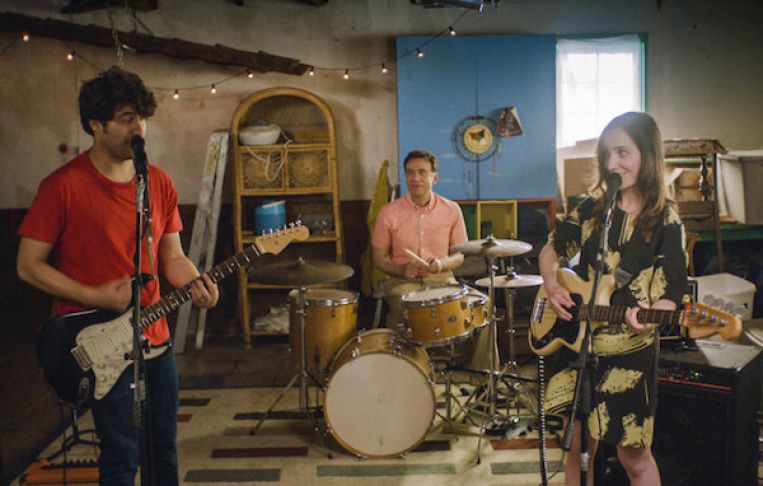 In an interview about her 2017 film Band Aid, Zoe Lister-Jones put it this way: "It's like this terrible Catch-22 where the pool is much smaller of women with a certain level of experience in departments where they're never given opportunities so they can't get the experience." Lister-Jones wrote, directed, and starred in Band Aid. When it came time to staff the crew, she set out to hire only women — but it wasn't easy to do. "Especially in departments like camera and grip and electric," Lister-Jones said, "those were the biggest challenges. And also, I think a lot of our crew had to step outside their comfort zones because so many people — women — would say, Well I've been working with this dude for like 10 years, that's my dude... And I would have to say, Yeah, you have to kind of work with this person who might be a little greener, but it'll be kind of a mentoring experience that then she can get that opportunity on the next one." Another factor in getting those opportunities: whether you're in the union. 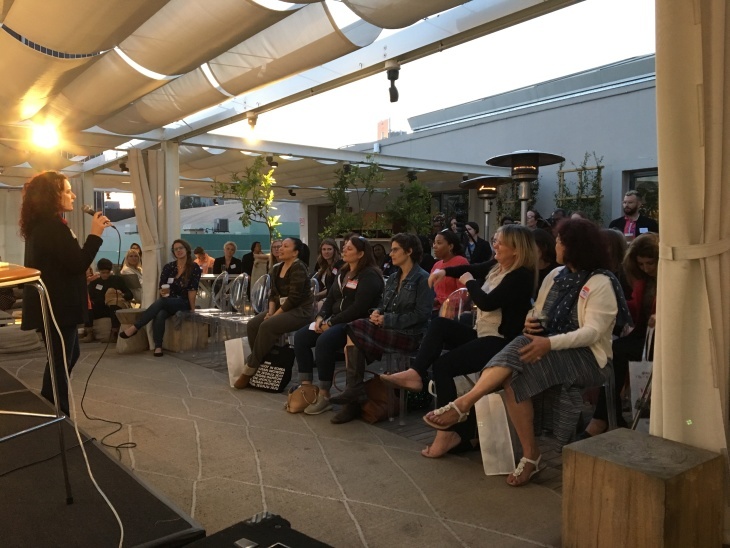 On a Friday evening last spring, Women in Media, a non-profit organization that advocates for parity and inclusion for women in the entertainment industry, held an event called "Navigating the Unions." The women at the event weren't all cinematographers. There were editors, directors, makeup artists, and lighting technicians all there to learn more about union membership from representatives of various unions and guilds. Women in Media executive director (and production designer) Tema Staig kicked off the event by explaining why union membership matters for women. "We hear a lot about how there aren't women directors, there aren't women D.P.s, all these positions. There are no women, right? No..." she said, pausing for effect. "I see a few women in the audience and you're all doing work, right? At the indie level, we are all working our little tushies off. The barrier to entry is getting into the studio projects. You can't work on a studio project unless you're in a union. That's it. So in order for us to make that shift in the numbers, we must make a push for union membership for women." Cinematographer Kristen DiLiello was there to learn more about getting into Local 600, the cinematographers' union. She makes a living doing non-union work — mainly web videos for companies like BuzzFeed — but she wants to do more. DiLiello has mentors that she's talked to about more challenging, higher-paying job opportunities — but if it's a union job, she can't take it. Right now she's working on the first step toward getting into the union in the Western Region: getting her name on what's called the "Industry Experience Roster." But it's a complicated process. In order to get on the roster, DiLiello is working on logging 100 days of non-union work within a three-year period. To do that, she submits proof of her of work experience (like pay stubs and letters from her employers) to an organization called Contract Services that's run by the Alliance of Motion Picture and Television Producers (AMPTP), the trade group that represents studios and production companies. Cinematographers we spoke with say that figuring out whether the days you've submitted have been approved and will actually count toward your 100 days is time-consuming and frustrating. "I think the most confusing thing is what kind of days count and what kind of days don't count," cinematographer Marianne Williams said. "The answer is constantly changing." "It's such a strict process that getting in becomes almost impossible," cinematographer Leah Anova said. And while being in the union gives you benefits (like union representation, health insurance, and pension plans) while opening up your access to bigger job opportunities, it's expensive. The one-time initiation fee for a cinematographer is $15,000. On top of that, there are quarterly dues. The fees and rules apply to everyone — but when it comes to actually getting hired, it's not always a level playing field for women. DiLiello realized that after grad school, on her first interview for a job as a director of photography. "It was a horror film and I met with the director and he said he really liked my work and he liked my reel," DiLiello said, "but he wasn't sure about working with a woman because he already had a female production designer." He wasn't sure if he was comfortable about also having a female D.P. That director ended up hiring a male classmate of DiLiello's, who she thinks was pretty much on her same level, skill-wise. "That was a big wakeup call to me," she said. "That it wasn't just about my abilities. It was also about just who I am and certain things that you can't do anything about that were going to be a challenge." Cinematographer Alan Caso, who's worked on shows like The Americans and Six Feet Under, puts it bluntly when asked why female cinematographers get passed over for work: "I think there's one main reason that everything else stems from — it's systemic discrimination." He added, "For somebody like me, a white guy, yeah I had my challenges — it was difficult for me to get into the union and all that. But you know, now in hindsight, looking back on what it's like for people of color and women, it's an impossible hill for them to climb. And I saw this, so I felt like I needed to say something." Caso said something in a pretty public forum last year, when he accepted his lifetime achievement award from the American Society of Cinematographers. In his speech, Caso admitted that while he'd been talking about the need for diversity, he'd only recently recognized that he was hiring mostly white, male crew members. He pledged to change that and called on his colleagues to do the same. "Let's surround ourselves with a crew who looks like the real world, not an Ivy League fraternity," Caso said. "Because I promise you, after 30 years in the industry, this I know for sure — it's not a zero-sum game. There's room for all of us." Some male directors have stepped up. Ryan Coogler had Rachel Morrison (the Oscar-nominated cinematographer) shoot his 2013 film Fruitvale Station. When he was making his next movie, Creed, Morrison couldn't be a part of it because she was pregnant and her due date fell right in the middle of production. "It was hard for both of us," Morrison said. "But Maryse Alberti did an amazing job. I was also really happy that she was Ryan's choice — that he went with an amazing D.P. who's been doing this for a long time, who has done some incredible work, and that I didn't get replaced by a 65-year-old white dude. That was probably 19 of the 20 choices the studio gave him." 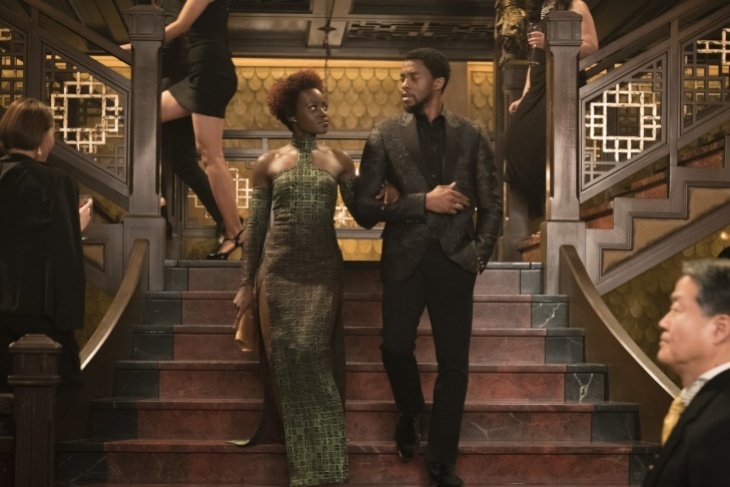 Coogler brought Morrison on for Black Panther too, making her the first female D.P. of a superhero movie. Before the movie came out, Morrison talked about the pressure she felt after her hiring: "I want to show people that it can be done and to come away with recommendations for the future. Not so much just for me, but so other studios go ahead and hire more female D.P.s to shoot their $150 million movies." Maybe Morrison's success with Black Panther will have a positive effect on other female cinematographers. The women we talked to who are still working their way up in their careers say they're committed to staying in the industry. Whether the industry makes space for them to move up remains to be seen.